Proper and methodical planning is extremely important for not just students but everyone in life. If you want to be organized, you need to have a set routine. Thus, a timetable is a mandatory thing for you. Prioritize the subjects and topics which need special attention. Dedicate more time to those topics. Divide your time in such a way that you can revise the chapter and practice a sufficient amount of questions from that chapter too. Download the complete CBSE class 10th date sheet. Students often overburden themselves with ‘n’ number of reference books before the examination. This approach is wrong and is going to affect your preparation. The important books to prepare for the Class 10 Science exam are NCERT. Yes, you read it right! Mostly questions are framed from these books, so make sure to complete the syllabus of NCERT. How many hours to study for board exams? It depends on the individual capabilities of every person. Some prefer studying in short intervals while some prefer studying in a stretch. But in general, at least 5-6 hours should be dedicated daily if you have completed your NCERT book syllabus. If you are not done with the syllabus yet, you need to devote around 10 hours every day. CBSE releases sample papers every year before the board examinations which should be solved by each and every student at any cost. There are huge possibilities of a question getting repeated or similar question appearing in the main exam. Hence, download the papers from Etoosindia and surely practice questions from them. They are a good measure of your on-going preparations and acquaint you with the exam pattern. Know CBSE Class 10 Science Exam Paper Pattern at www.cbse.nic.in. If you wish to excel and top CBSE X boards, then solving previous year questions papers can also work great for you. They are a good source of information telling you the variety of questions an examiner can frame from a particular topic. If you have solved previous year exam papers then you are surely ahead of others. Download past 10 years CBSE class X question papers with answers from here. Studying for long hours is recommended but not taking a break can certainly exhaust your mind. After every hour or two hours, take a short break of 10-15 minutes so that your brain relaxes and retrieves energy for the next session. There are certain do’s and don’ts for every exam. Before appearing for the boards, make sure you carefully read all the instructions written on the paper and also pay attention to the exam guidelines the invigilator gives you. How to study well for exams in a short time? 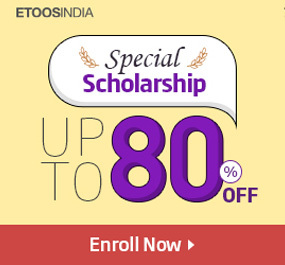 With Etoosindia online video lectures for class X, you can complete your CBSE course in a short time. The lectures are prepared by top faculties whose experience will help you top the board examination. All the questions are explained in an easy-to-understand manner along with short tricks which will help you complete the paper in time. Where can you find CBSE Class 10 Science revision notes? Hand-written notes work best but if you haven’t prepared your own notes, need not worry. 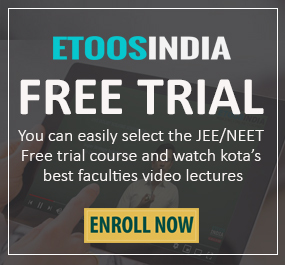 With Etoosindia final revision courses, you will not just go through every NCERT chapter in a short span of time but also gain insights on some useful strategies to approach questions in the exam. The faculties have also shed some light on how to write answers in board exams to achieve good marks. Toppers suggest use of flash cards to revise important formulas and reactions. Also, try incorporating one chapter on one page. This technique is extremely effective for end time revisions. Conclusion- This is a very crucial time for all students who are about to appear for the CBSE X boards. They play an important role in the academic life of a student deciding on their future career path also. All the above-given preparation tips for the CBSE Class 10 Science Exam will surely help you gain optimum marks. Do not forget to solve CBSE Sample papers and previous year question papers before appearing for the exam. All the best! !